Welcome to TigerTiger Face Painting owned by Stephanie Buick. 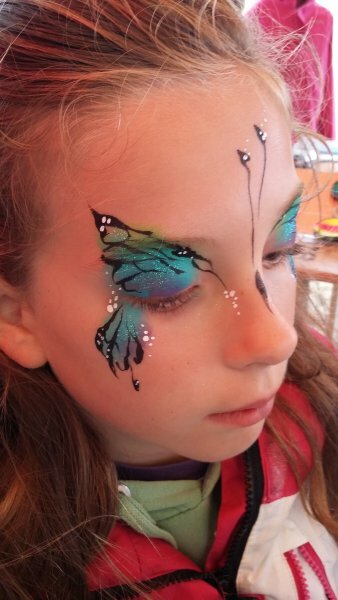 With 20 years experience, I am one of the most skilled and longest established face painters in the North West of England. 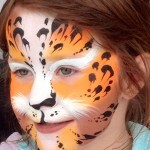 I provide a professional face painting and temporary tattoo service in Manchester, Leeds, Lancashire, Yorkshire, Cheshire and the North West of England. 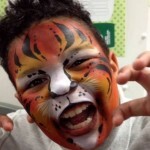 If you need more than one face painter, TigerTiger Face Painting can also provide a team of talented, professional, face and body artists to add a buzz your event. 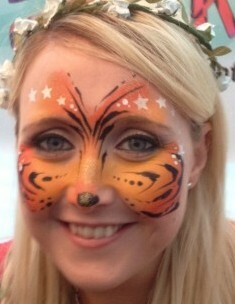 I also supply face painters for nationwide events. 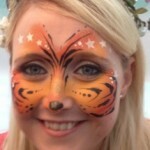 I am highly experienced in painting faces at all types of events: large corporate parties, shop openings, product launches and promotions, festivals, christenings, birthday parties, UV painting for night clubs, school proms, museums … the list is endless! 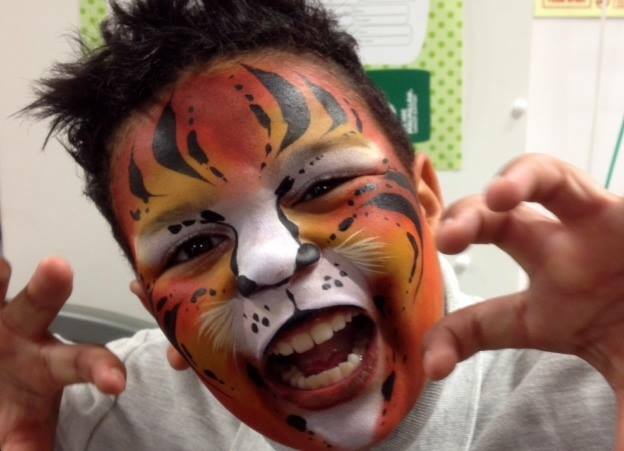 TigerTiger Face Painting will only supply you with artists who hold public liability insurance, use only the best quality face paints and have a range of great designs. We are all very enthusiastic about our art and will paint to a high standard. Contact Stephanie to discuss your event and to get a quotation. TigerTiger Face Painting supplies face painting, body art, temporary glitter tattoos, airbrush tattoos and glitter eyes in Burnley, Ramsbottom, Clitheroe, Skipton, Barnoldswick, Barrowford, Blackburn, Darwen, Bolton, Manchester, Leeds, Lancaster, Morecambe, Stockport, Prestwich, Preston, Accrington, Rochdale, North Yorkshire, West Yorkshire, East Lancashire, Sheffield, Barnsley, Bradford, Cheshire, Halifax, Huddersfield, Chorley, Liverpool, Ormskirk, Ilkley, Keighley, Warrington, Wigan, Oldham, Dewsbury, Otley, Todmorden, Hebden Bridge.